Q: I received a letter from a nonprofit organization to which I regularly donate suggesting I may be eligible for tax credits. I have to admit I feel a bit like Scrooge in wanting to identify every economic benefit from my donations, but can you please explain what this means? There’s no need to apologize for your desire to understand how your charitable intentions can pay big dividends. Capitalizing on tax savings can allow you to be even more generous in years to come. The letter you mention relates to Virginia’s Neighborhood Assistance Program (NAP) tax credits. But let me start by reviewing all of the tax benefits that you can receive by making a donation. Let’s assume you are holding a highly appreciated stock position worth $1,000. If you sold the stock today, you would pay capital gains tax of 15% on the entire gain. By transferring the stock to a charity, you can avoid the capital gains tax of $150. You also receive a deduction of $1,000 against your federal and state taxable income, which can save you up to $407.50. In addition, you can now receive a $400 NAP tax credit. In all, you can reap a total of $957.50 in tax savings. What began as a $1,000 stock gift actually costs you only $42.50. Virginia offers NAP tax credits in exchange for donations to nonprofit organizations serving the truly needy. More than 200 charities have been designated approved Neighborhood Assistance Programs. It appears you are already giving to one of these approved NAP organizations. Donors to these approved charities are eligible to receive a Virginia tax credit for 40% of the value of their total contribution. Thus a gift of $1,000 to a NAP qualifies for a $400 Virginia tax credit. Businesses can also take advantage of these tax credits. A list of approved NAP organizations is available through Virginia’s Department of Social Services at http://www.dss.virginia.gov/community/nap.cgi. Each qualifying charity is assigned a set number of credits annually. Your donation might not receive a credit if the charity has already given away its share. But if you receive more tax credits than you need this year, you can carry them forward to future years. If you have a money question that is nagging at you, please submit it using our contact page. We attempt to respond to every question. 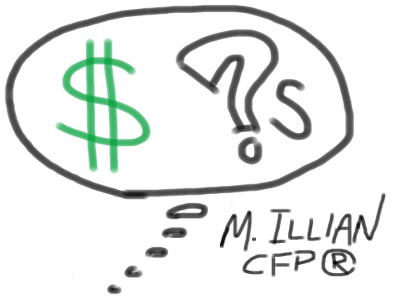 If yours is chosen for $ ?s, we will give you a pseudonym and let you know the date the Q&A is published.